Composites Europe, alternately held in Stuttgart and Dusseldorf, is the most innovative fair for composite material applications. Here you'll find everything from raw materials to processors, machines and services. In less than 10 years, Composites Europe has established itself as an international meeting point and a networking platform of the industry. Besides the main fair, this Show also offers many forums for interaction and communication, and a conference program where innovative solutions and concepts are presented. Raw materials: resins, fillers, additives, core materials, etc. Reinforcements/fibers: aramid fibers, natural fibers, rovings, prepregs, SMC, BMC, etc. Processor and processing procedure: autoclave, resin transfer moulding, pultrusion, etc. Converter/finishing: surface treatment, cutting, tools, automated cutting systems, etc. Intermediate products and finished products: plates, tubes, profiles, etc. Be part of the fair! 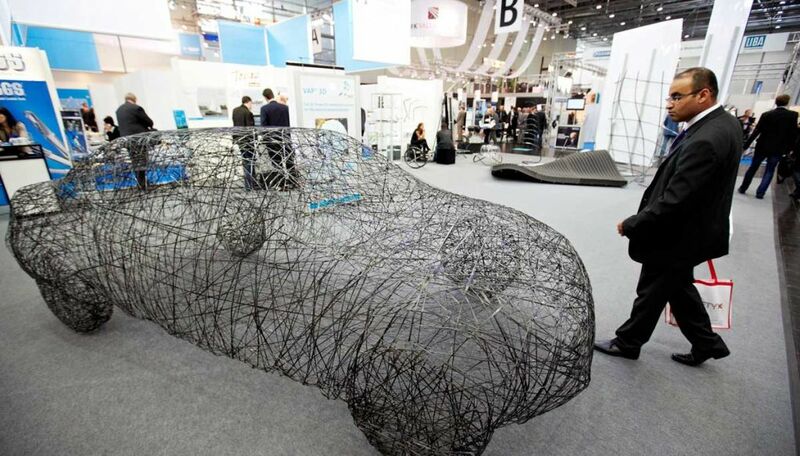 During 4 days, Composites Europe gathers over 390 exhibitors from 26 different countries and 8100+ visitors. It is an unmatchable opportunity to meet face-to-face with new potential clients and establish valuable partnerships. If you want to participate in this fair, our team of experts will find you the first-rate stand designers in Düsseldorf. We'll make sure all your ideas are treated with professionalism and creativity. If you want to find first-class materials, lightweight concepts and the latest production and automation solutions to master your business, join the Composites Europe. It will provide you a clear picture of how the market functions and all the tools you need to expand your company throughout Europe. COMPOSITES EUROPE has eight years in the industry and it became the largest and international meeting point for so many countries, its platform is ideal for increase the networking and to help grow the trade fair in Europe. It is expected more than 440 exhibitors from more than 25 countries, and it’s expected more than 11,000 trade visitor. Always more than 40% of the attendees create and make a global market between professionals, specialists, and experts. The attendees can find s well the new trends, new products, forums where you can interact with people that have the same interest, Conferences, demonstrations, and so much more. The sites in Dusseldorf are the most economic areas in all Germany.